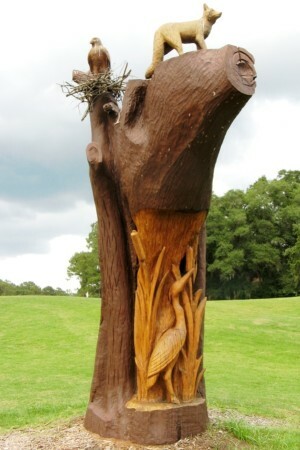 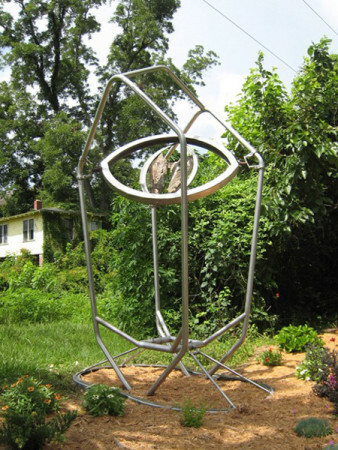 Fabricated and installed by the Master Craftsman Studio. 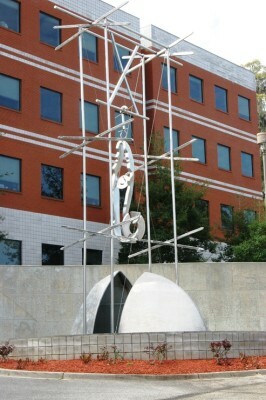 Includes the stainless steel spear and a blown glass flame as well as cast glass seal and letters. 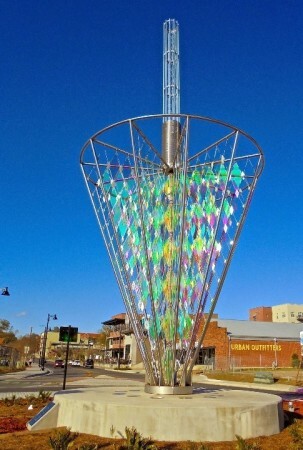 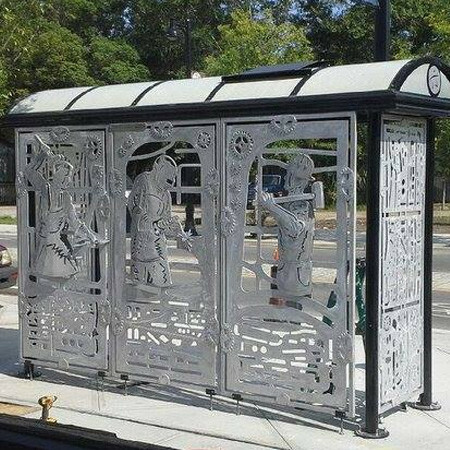 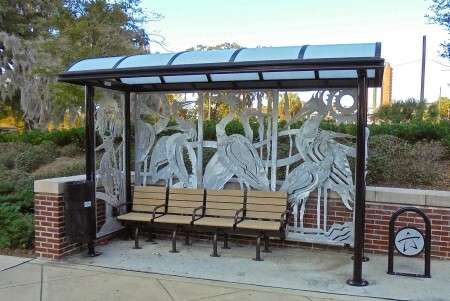 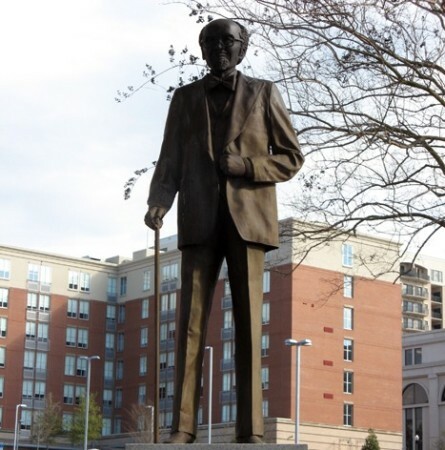 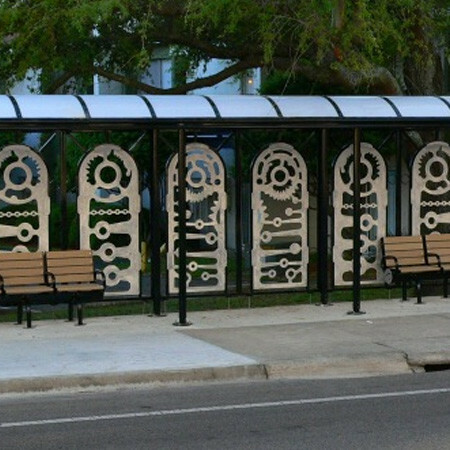 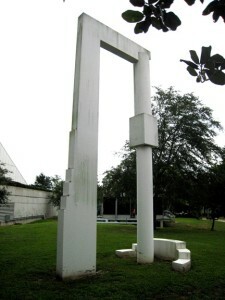 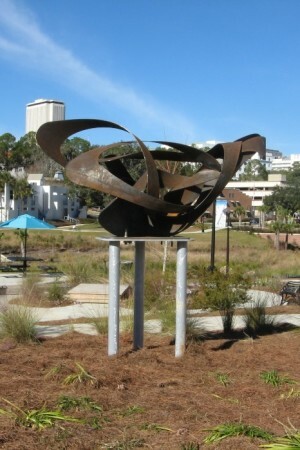 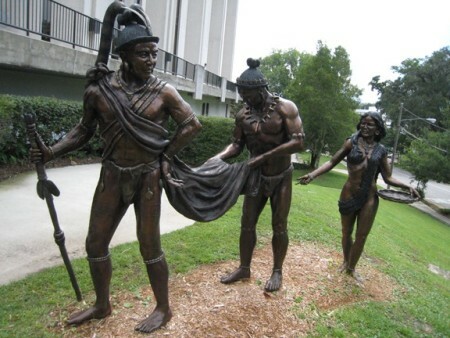 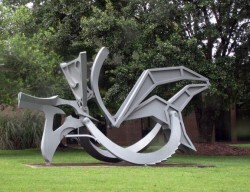 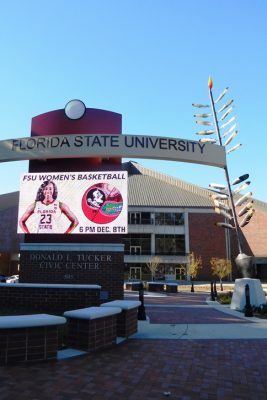 by Mark Dickson for the City of Tallahassee/Star Metro Welded, polished aluminum Near the intersection of Gaines St. and Gay St. 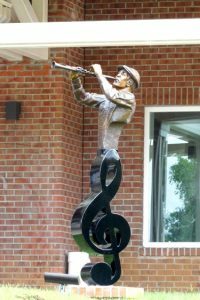 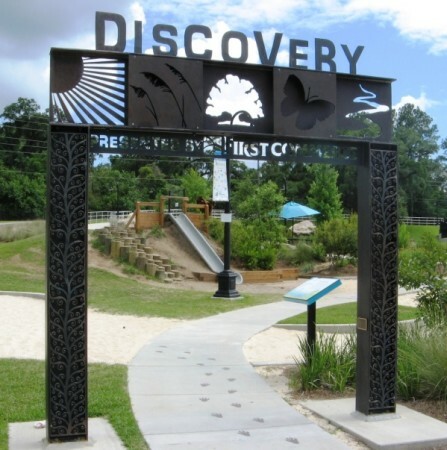 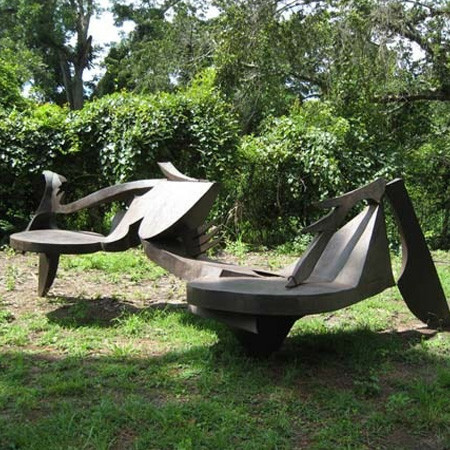 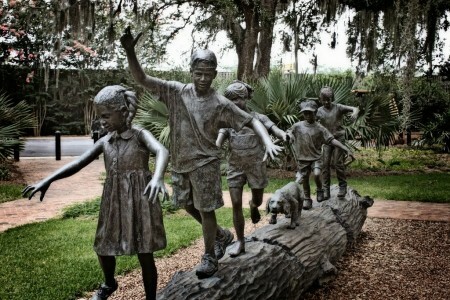 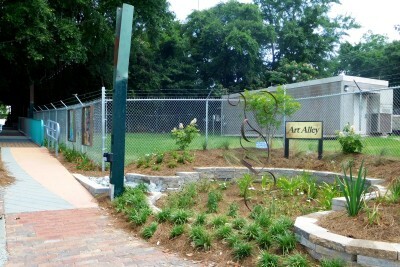 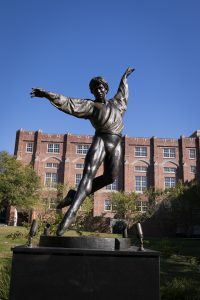 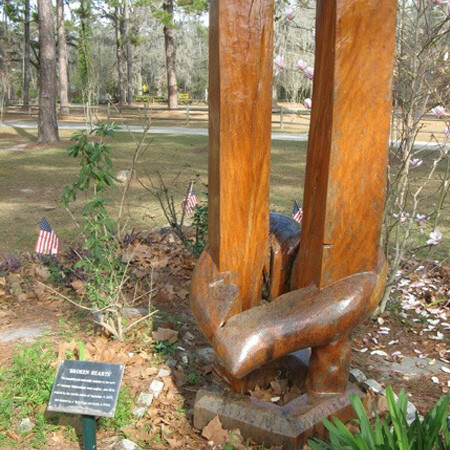 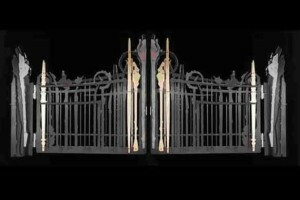 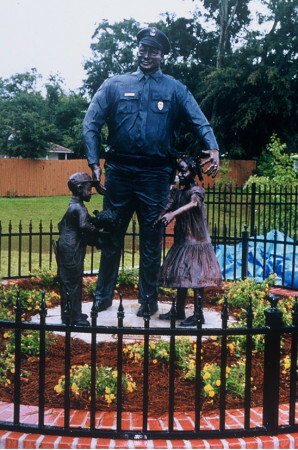 Designed by Mike Bettinger and donated by Mike and John Bettinger of Bettinger Welding Inc. At the entrance of the Discovery Play Area in Cascades Park, near the intersection of Suwannee St. and E. Gaines St.
By Jim Davidson, provided by an anonymous donor. 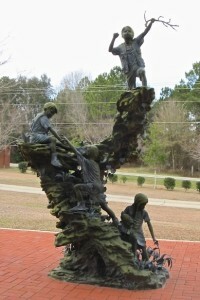 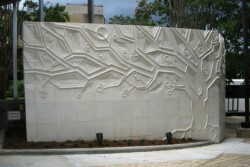 Located in front of the Florida Baptist Children’s Homes Office at 8415 Buck Lake Road.